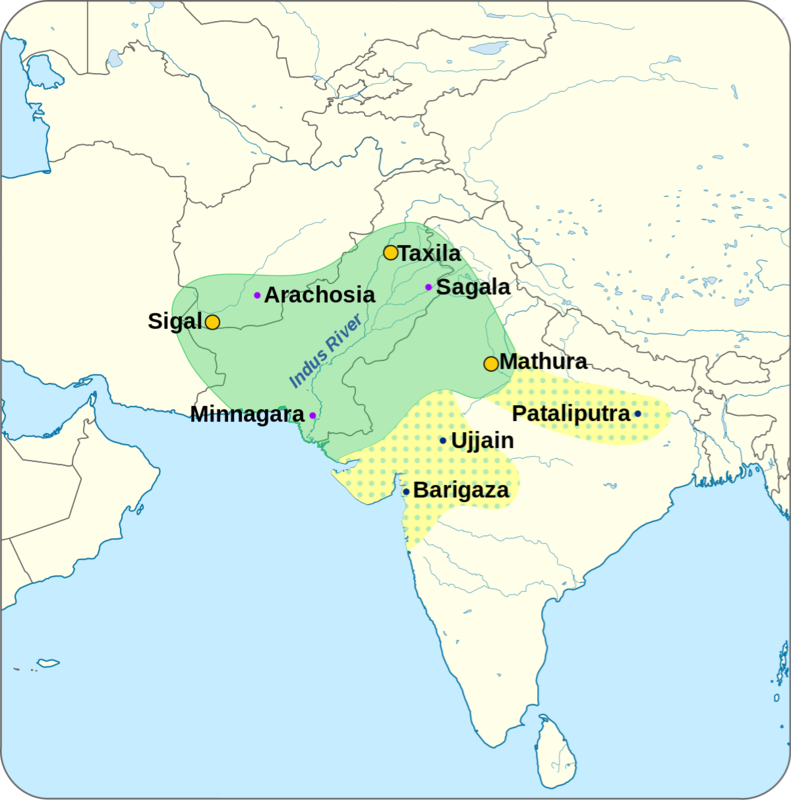 Indo-Scythian is a term used to refer to Scythians (Sakas), who migrated into parts of central, northern and western South Asia from the middle of the 2nd century BC to the 4th century AD. The Sakas settled in Drangiana, an area of Southern Afghanistan, western Pakistan and south Iran, which was then called after them as Sakastan or Sistan. From there, they progressively expanded into present day Iran as well as northern India, where they established various kingdoms, and where they are known as "Saka". After the death of Azes, the rule of the Indo-Scythians in northwestern India was shattered with the rise of the Indo-Parthian ruler Gondophares in the last years of the 1st century BC.